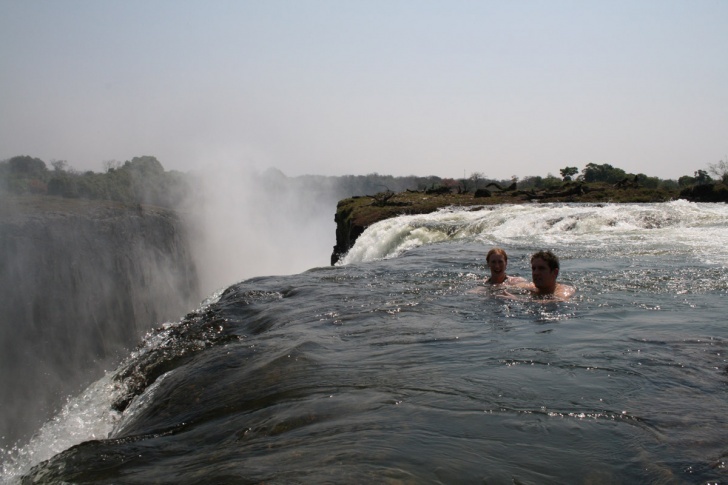 Victoria Falls (Zambia) | 10 Most World's Dangerous Spots To Swim! If you lack extreme adventures, just swim in the "Devil's Swimming Pool". 328-feet Victoria Falls attracts tourists from all around the world. Tourists are attracted not by the huge waterfall but mainly by its so-called "Devil's Swimming Pool". This natural pool is found on the edge of the waterfall and only a little piece of rock prevents swimmers from falling down the Victoria Falls.